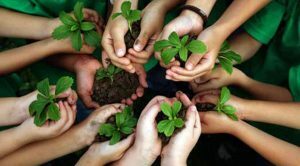 Support the environmental leaders of tomorrow, by making a tax-deductible donation to the Sustainable Living Association Today! We depend on the support of people like you – people who are aware and engaged as life-long learners – people who are helping to build sustainable communities and protect the natural systems that sustain our lives. All of our educational initiatives start with the dedication and support of people like you. We know that you recognize the need to work together to support the educational models we need to survive, to thrive, and to help build a better world. Your tax-deductible support of the Sustainable Living Association ensures our success. Please make a generous donation online so that we may continue this valuable work. Or you can send a check payable to the SLA, P.O. Box 1095, Fort Collins, CO 80522.